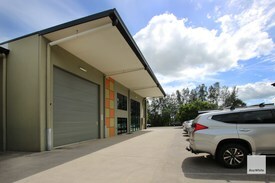 197 Commercial Real Estate and Properties in Sunshine Coast are listed in 9 categories. We have 233 Offices for Lease , 217 Retail Shops for Lease , 192 Industrial Warehouses for Lease , 14 Medical and Consulting Properties for Lease , 8 Development Lands for Lease and 4 Showrooms for Lease . This property is positioned at one of Eumundi Road's key intersections, diagonally across from Bunnings. + 526sq m (approx) showroom warehouse + Landscaped 1,012sq m site (approx) + Separate amenities and air conditioned office + Off street parking + Opposite Bunnings Call or email Tracey Ryan or David Brinkley to inspect the property or find out about other suitable options. Our team is strategically located in two offices across the Sunshine Coast region and is ready to handle your commercial, industrial and retail property needs today so call or email now. 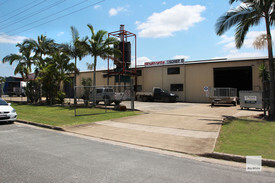 This freestanding warehouse is situated on the corner of Machinery Road Harvest Road. Positioned on a 2,075sqm block, the building is set to the rear allowing for two way access and ample car parking. Warehouse 387sqm Dual access 1 x roller doors (4.3m x 4.35m) For further information please contact Jordan Hayes on 0417 999 331 or Michael Shadforth on 0488 981 076. Areas approximate only. Emily Pendleton from Ray White Commercial Northern Corridor Group is pleased to present to market via a sublease part of the freestanding warehouse facility located at 35 Hitech Drive, Kunda Park. The shed is situated on a large corner block and offers dual access which makes it perfect to divide the space, giving the new tenant access to an exclusive high clearance roller door and a couple of car spaces/an area for loading an unloading. There is approximately 123m2 of warehouse and 32m2 of air conditioning mezzanine office available making it a perfect opportunity for additional storage for your business and somewhere to base your offer from. 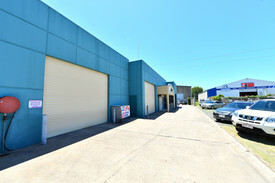 Freestanding warehouse in corner location with good access Sub lease opportunity to rent 125m2 of warehouse and 32m2 of air conditioned office space Exclusive high clearance roller door Share toilet/kitchen facilities with one other tenant On site car parking available Signage opportunities available Shared outgoings which make costs low, as there is no body corporate For further information or to book an inspection please contact the exclusively appointed marketing agent Emily Pendleton on 0402 435 446. 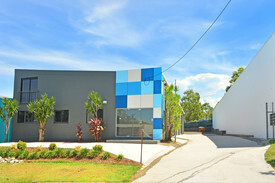 Warehouse Size: 165m2 Tiled Ground Floor Office/Showroom: 100m2 Mezzanine Offices with conference room and closed office space: 91m2 Air conditioned Office Reception Space Ground level Kitchenette High Exposure Street Sign attracting traffic travelling on Maroochydore Road Low Outgoings High Clearance Roller Door (4.85 Metres) 3 Exclusive Allocated Parks https://www.youtube.com/watch?v=zMfvN9wjyKE Contact our Marketing Agents Jordan Hayes 0417 999 331 or Michael Shadforth 0488 981 076 for inspection. Quality units well positioned in busy Rene Street. Unit 1 has great exposure and a generous showroom and office. Warehouse floors are sealed and offices are carpeted. Amenities are included on mezzanine and ground floor. + Unit 1: 165sq m Unit 2: 86sq m Unit 3: 79sq m Unit 4: 80.9sq m (sizes approx) + Unit 1 includes show room plus warehouse + Mezzanine offices + Quality amenities on both levels + Immaculate finish throughout + Price inclusive except for power and phone / internet + Available immediately Call or email Tracey Ryan or David Brinkley to inspect the property or find out about other suitable options. Our team is strategically located in two offices across the Sunshine Coast region and is ready to handle your commercial, industrial and retail property needs today so call or email now.